Campervan Hire Sydney Specials now available! Looking for a great deal on Campervan Hire Sydney Specials? 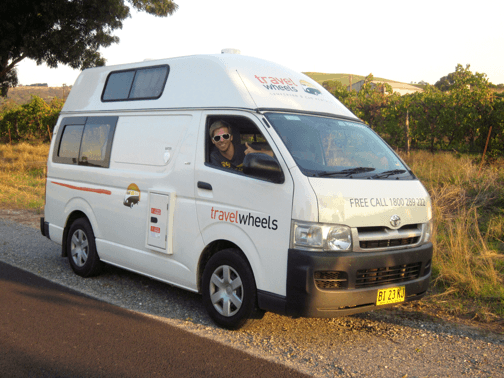 Thinking about hiring a campervan for instance for a round trip starting and finishing in Sydney? Well with Travelwheels campervan hire it is now possible! You can now hire any of our campervans for less than a week when you pick up and drop off in Sydney only. One Way Campervans have 3 different types of Campervan Hire Sydney Specials available. For example we do 2, 3 and 5 person campervan rentals from Sydney. We also do automatic campervan hire starting from Sydney at rock bottom prices! This is our most popular campervan we hire at our Sydney depot. Furthermore don’t just take our word for it, and it is also the most popular 3 person campervan for hire in Australia! It’s a newer model with big comfy bed together with a great kitchen & living area. For example this is the best value for money when you consider, comfort, price, and above all a nice campervan to drive. In addition to these two models, furthermore we have our very popular Automatic campervan for hire as well. One Way Campervans specialises in low prices on automatic camper van hire. The lowest prices can be found on routes such as Sydney to Sydney for example. In this case if you are after lower prices, then picking up in Brisbane, Melbourne or Cairns and return to Sydney is your best bet. These campers are very popular with groups & families. Therefore you have now chosen your campervan for your roadtrip, what about the insurance options? This is one area that can be especially confusing to first time visitors to Australia. Together our staff have worked with customers and we have now written a useful guide to campervan hire insurance options. Feel free to read it and especially if you have any questions call us on 0412766616. Otherwise if you are in Sydney, then for example why not visit our campervan hire Sydney store at shop at 11-15 Clevedon Street, Botany, 2019, Sydney. Consequently all excess insurance reduction options are null and void if any of the rental terms and conditions are breached. Remember these deals are not for busy peak season period sorry. However they are a great way to get a cheap deal on Campervan Hire Sydney out of peak season. 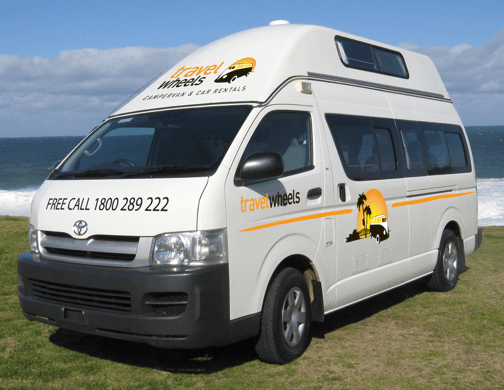 Next are a few suggestions to help save you money on campervan hire in Sydney. Together with some great apps online, here is a link to how to save money buying petrol in Australia guide. For the most part our most popular campervan hire trip in Australia is the classic Sydney to Cairns campervan hire trip. This is a great tip and as a rule, it is always way cheaper to do the route in Reverse! 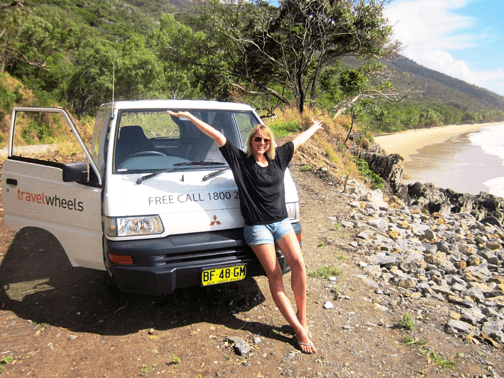 Cairns to Sydney Campervan Hire is way cheaper way to do the trip! Call our team on 0412766616 for best deals on Sydney campervan hire and other discounted deals. Lastly this is another helpful link to about free camping on east coast of Australia guide. For example just reading this guide can save you a lot of money on the total spend for your campervan hire holiday. Those campsites can soon mount up and add a lot of cost to your holiday. We beat all competitor quotes for Sydney campervan hire! Opps here is one more link and remember we will beat all competitor quotes back to Sydney. In the meantime if you have a quote from another company, then we are especially keen to hear from you. We beat call campervan hire competitor quotes back to Sydney. Read more about our campervan hire price promise guarantee here. Contact One Way Campervans for our lowest prices! Enter your dates below for our lowest prices! We will do our best to get you a great deal on campervan hire sydney specials with us!